The following pictures are somewhat large, but well worth waiting for! --Check out the original artwork for the boxes before Datasoft decided to pay their own people to design it. Original art by Bill Herbert. 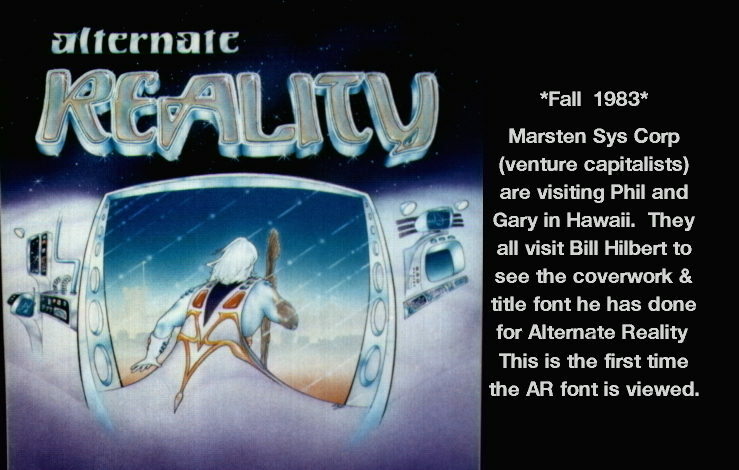 --Another older piece of artwork for Alternate Reality in it's pre-Datasoft days. --Here's the standard map of The City, giving a starting point to exploring and mapping your surroundings. --There is another map for The City which is almost cartoon-like; not very helpful but fun to look at! --This is the map of level one of The Dungeon that came with the initial release of the product. 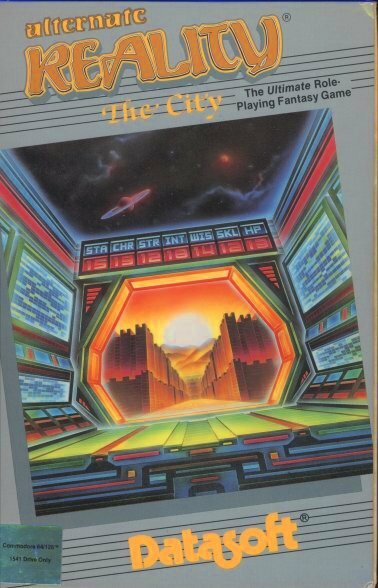 --This is the box for Alternate Reality: The City, Commodore 64 version. 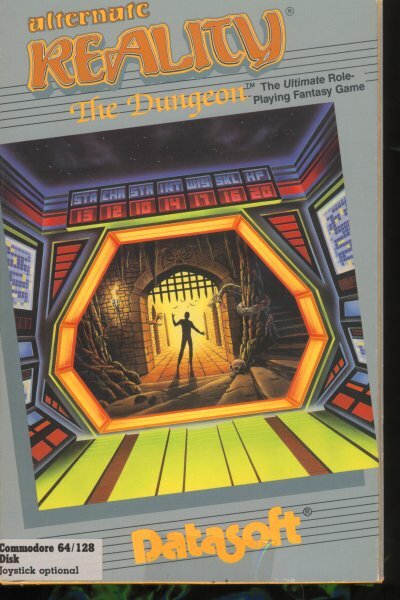 --This is the box for Alternate Reality: The Dungeon, Commodore 64 version. --Please take a moment to fill out your Registration Card and send it off to Datasoft. --Looking for a job? 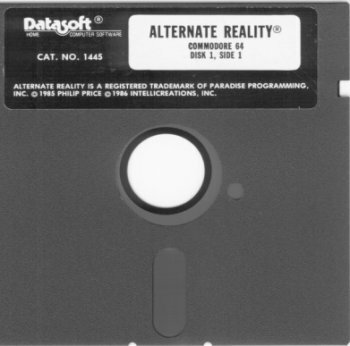 Here's a notice Datasoft sent out with some of their games, including Alternate Reality: The City. --See here kids... this is what we used to have to play on. And every so often our computers would tell us to flip 'em over. Pre-hard drive days. Here are some memorable moments from Alternate Reality: The Dungeon. 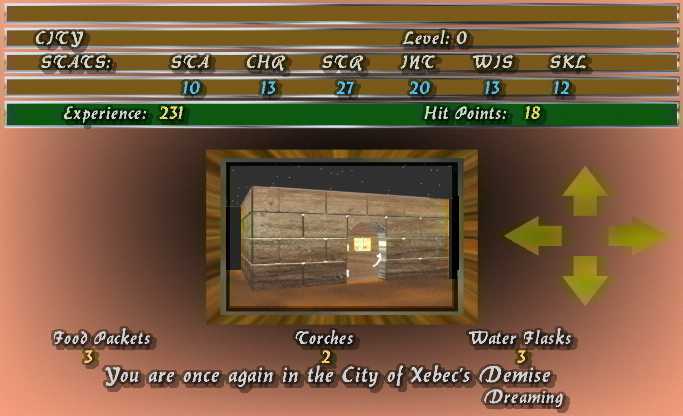 --Some of the more colorful scenes in the game are the fountains. --Answer his riddles three and you will recieve an invaluable tip. --Here's a sight that will send fear rushing through the heart of even the most experienced adventurer. 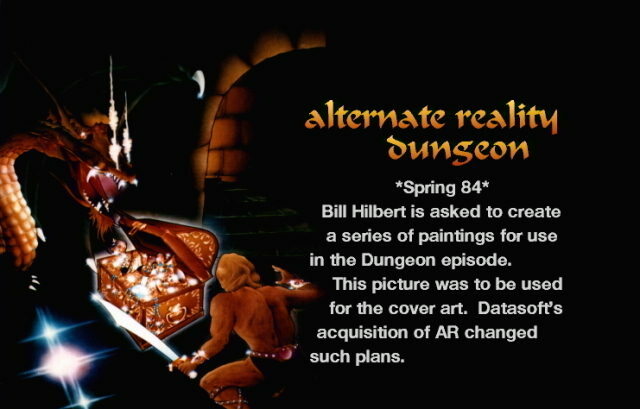 The following screen shots are from the unreleased Amiga version of Alternate Reality: The Dungeon. --The hall of the Goblin King, will you surrender the ring to him? --Or will you take the Goblin King's ring to the Troll King? --Then again you could defy both of them and take it to this guy. 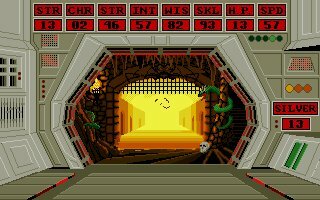 --Are you really brave enough to challenge the Great Wyrm to a duel? --If you are victorious all this is yours for the taking! --Here is where your adventure begins! --If you can find Lucky, you can acquire all sorts of magical potions. --The Ferryman will take you over the River Stonz. --Once you cross the Stonz you can visit the Undead King.